HACK TO HEALTH: A hackathon focused on addressing a health-related problem over the course of two days will be held March 25-26 in Room 105 of the Norman C. Francis Academic/Science Complex at Xavier University New Orleans, 1 Drexel Drive. The event hours will be from 8 a.m. to 2 p.m. March 25, and will begin at 2 p.m. March 26. The organizers of the event are the Xavier Division of Business To register or become a sponsor, visit liftoffhealth.com/xula. UNIVERSITY OF NEW ORLEANS: U.S. Air Force Brig. Gen. Chad Franks will be the speaker when the University of New Orleans holds its commencement ceremony May 13 at Lakefront Arena. 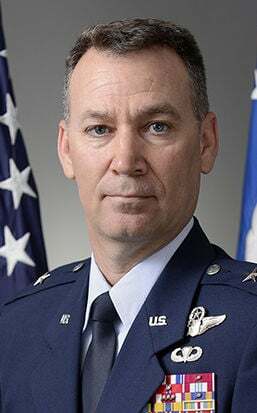 Franks, who graduated from UNO in 1990, is vice commander of 14th Air Force, Air Force Space Command at Vandenburg Air Force Base in California. A native of Metairie and graduate of Archbishop Rummel High School, Franks, 49, has served 27 years with the U.S. Air Force and logged more than 3,300 hours as a command pilot. He has deployed in support of a number of military operations including Provide Comfort and Northern Watch in Iraq, Allied Force in Kosovo and Iraqi Freedom. He earned a bachelor's degree in general studies from the University of New Orleans in 1990. TULANE UNIVERSITY: Academy Award-winning actress Helen Mirren will be the speaker when Tulane University holds its commencement ceremony May 20 in the Mercedes Benz Superdome. She will also receive an honorary degree at the ceremony. Mirren won an Oscar in 2007 for her portrayal of Queen Elizabeth II in “The Queen.” Mirren also portrayed Queen Elizabeth II in the London and New York stage productions of “The Audience,” a role for which she received England’s highest theater honor, the Olivier, as well as a Tony. Her public service commitments include the National Youth Theatre; Barnardo’s, a UK-based children’s welfare organization; UKHF, a charity devoted to supporting orphaned and vulnerable children in Uganda; and Artists for Peace and Justice, which supports education and health initiatives in Haiti. Chancellor's Scholarship, $1,000 each for two first-time freshmen, April 20 deadline. Phillips 66 PTEC Scholarship, $500 for a first-time freshman majoring in industrial technology, April 20 deadline. Nunez Foundation Scholarship, $750 each for four students, June 30 deadline. Nunez Academic Scholarship, $1,000 for two continuing, returning or transfer students, June 30 deadline. Ace Vending Dean’s List Scholarship, $500 for one continuing student who is a Dean's List honoree, June 30 deadline. St. Bernard Kiwanis Scholarship, $1,500 for a St. Bernard Parish resident, June 30 deadline. Lawrence J. Randazzo Culinary Scholarship, $500 each for two St. Bernard Parish residents majoring in culinary arts or a related field, June 30 deadline. To apply, visit nunez.awardspring.com. For information, email Brittney Barras, director of admissions and dual enrollment, at scholarships@nunez.edu. XAVIER UNIVERSITY OF LOUISIANA: The Andrew W. Mellon Foundation has awarded a $500,000, three-year grant to the College of Arts and Sciences at Xavier University of Louisiana to reshape the core curriculum. The Xavier faculty is working to develop new courses and revise existing ones to include interdisciplinary courses, e-portfolios, writing-intensive courses and digital humanities. The program will also will increase Xavier’s faculty’s proficiency with assessment strategies to reflect new learning outcomes. The grant principal investigator is Kim Vaz-Deville, associate dean of arts and sciences. For information, visit www.xula.edu/cas/cce.html.